According to the National Health Instuitute, most people in the United States are not getting enough magnesium from their daily diet. Magnesium is the fourth most abundant mineral in the body. We pair our magnesium with glycine, a neurotransmitter shown to help promote the natural relaxation properties of magnesium and may help prevent and relieve muscle cramps and spasms. Magnesium is found in many foods like avocado, nuts, whole grains and legumes and is a cofactor in over 300 systems that participate in reactions in the body including muscle and nerve function. Supplementation has been shown to help ease digestive issues like constipation, symptoms of PMS and migraines. 1. Fathizadeh N, Ebrahimi E, Valiani M, Tavakoli N, Yar MH. Evaluating the effect of magnesium and magnesium plus vitamin B6 supplement on the severity of premenstrual syndrome. Iran J Nurs Midwifery Res. 2010;15(Suppl 1):401-5. 2. Pan HC, Sheu ML, Su HL, et al. 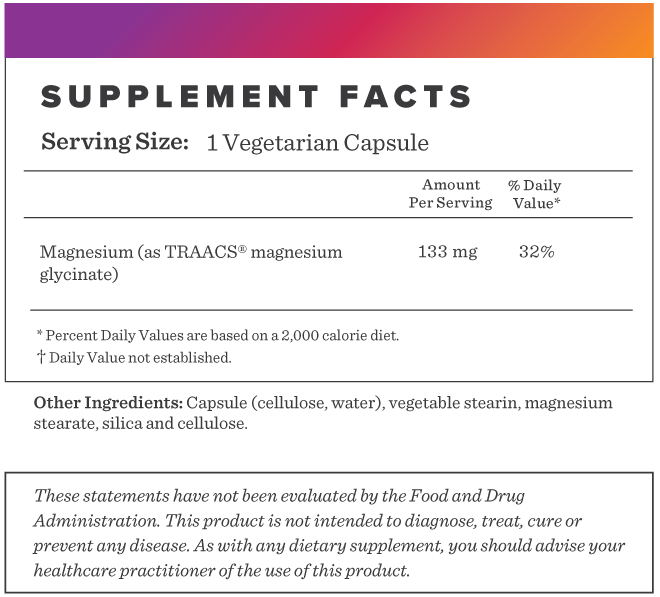 Magnesium supplement promotes sciatic nerve regeneration and down-regulates inflammatory response. Magnes Res. 2011;24(2):54-70. 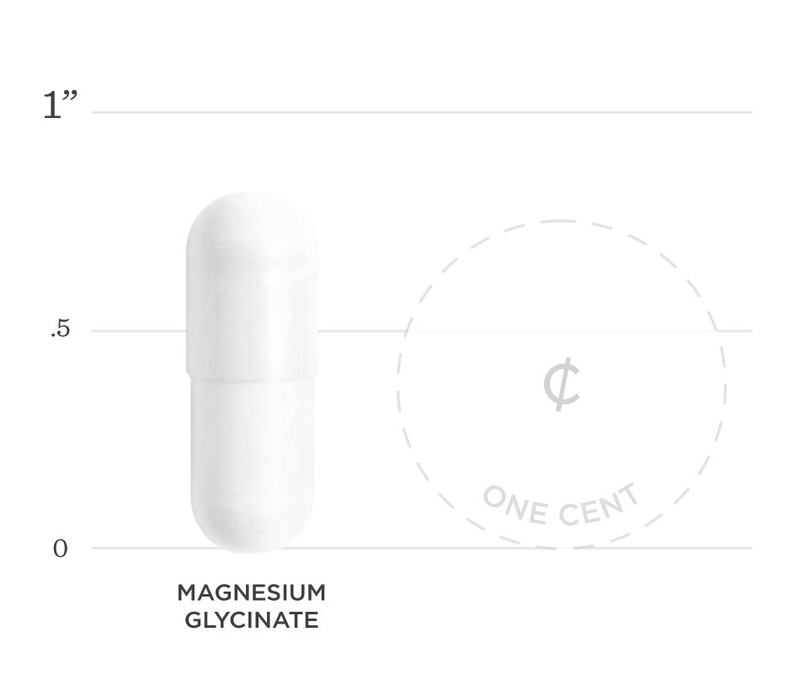 Below we've broken down the main functions of our Magnesium Glycinate and the benefits it can provide. Magnesium deficiency can increase contractility of smooth muscle and level of prostaglandins, both which contribute to drive period pain. Studies have shown that magnesium, especially when paired with B6 can reduce the severity of PMS symptoms, with those who supplemented experiencing a significant decrease in the severity of water retention. Magnesium also helped reduce severity of depression, craving, and anxiety symptoms during PMS. Research has shown magnesium to improve neurological function recovery post injury while enhancing nerve regeneration. This study also showed a suppression of inflammatory responses. Research has shown that magnesium deficiency may be present in up to half of migraine patients due to increased excretion and decreased absorption. Magnesium may be effective because of it's ability to block tranmission of pain chemicals in the brain as well as prevent narrowing of brain blood vesssels.